Entry by ShinigamiRukia on Wed Feb 12 08:17:28 2014.
now go sit in the corner, and think about your life. I'M SORRY, I'M VERY HONEST AND FORWARD. I do have to agree with you, N, go lick him elsewhere. 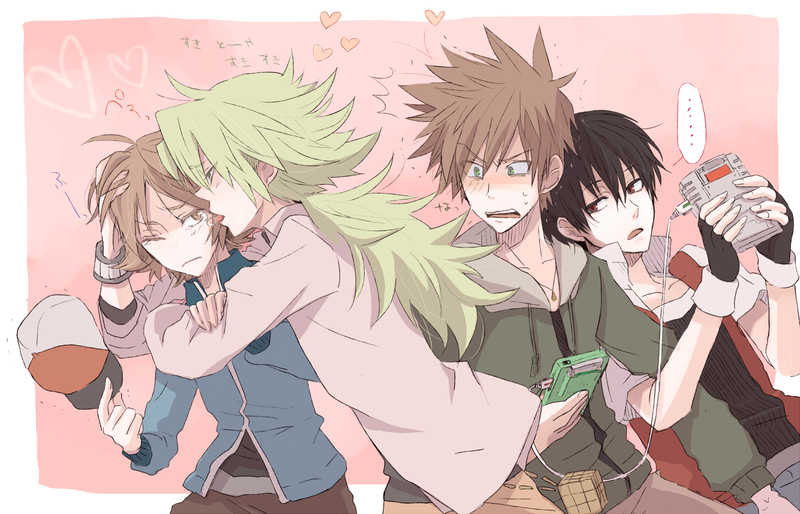 Green, you should follow N's footsteps, and lick Red. lol. for some reason i feel like green looks shocked by how youngster these days show so much PDA? Green: Don't do this in public! Maybe it's just my fujoshi senses going...but where is Green's 2nd hand? Foursome huh? DO IT !!!! DO IT DO IT !!! I don't know why, but I feel like Red's bein' all "Just hurry up and trade already."